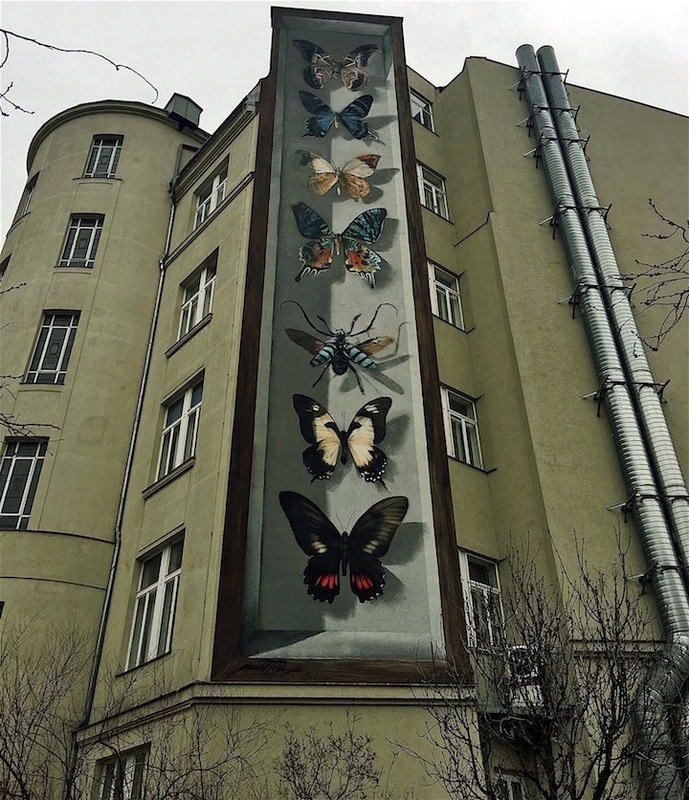 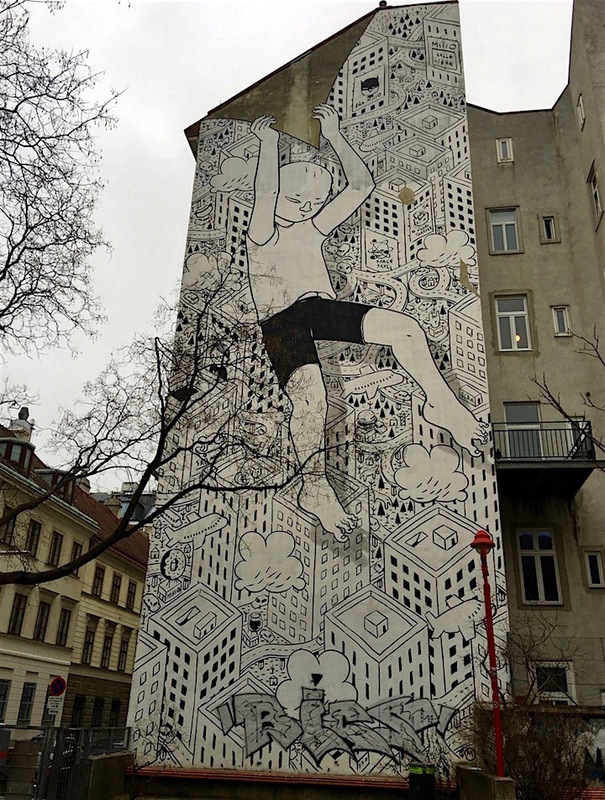 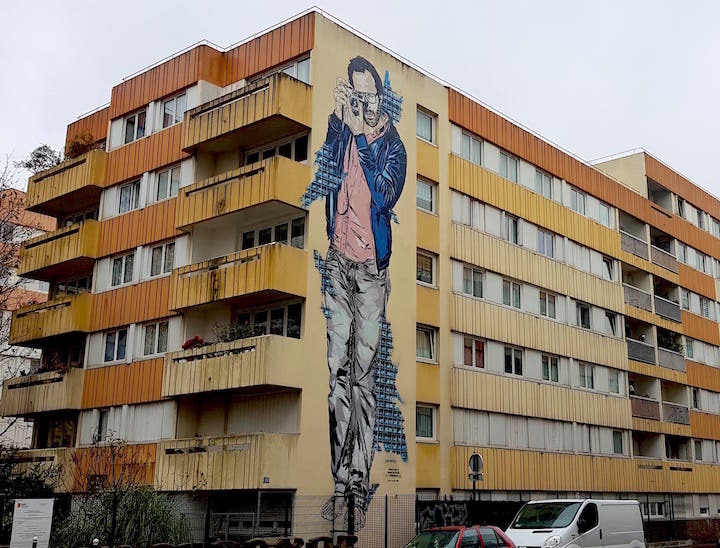 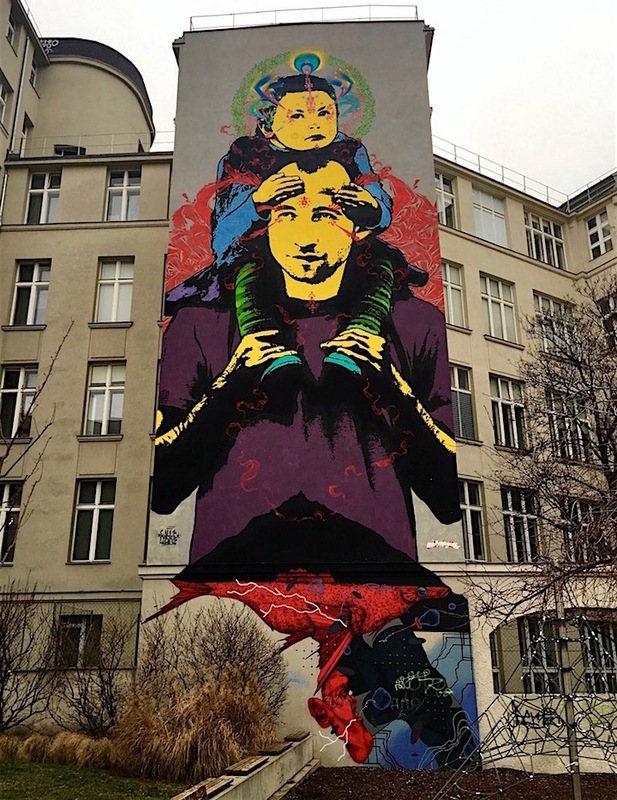 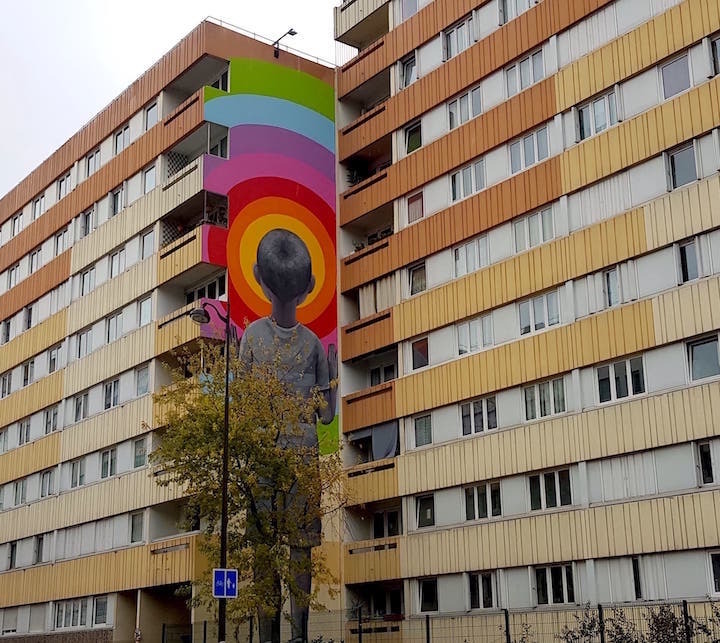 On the facades of high-rise Parisian apartment buildings near the southern bank of the Seine are beautifully painted walls by some of our favorite local and international street artists. 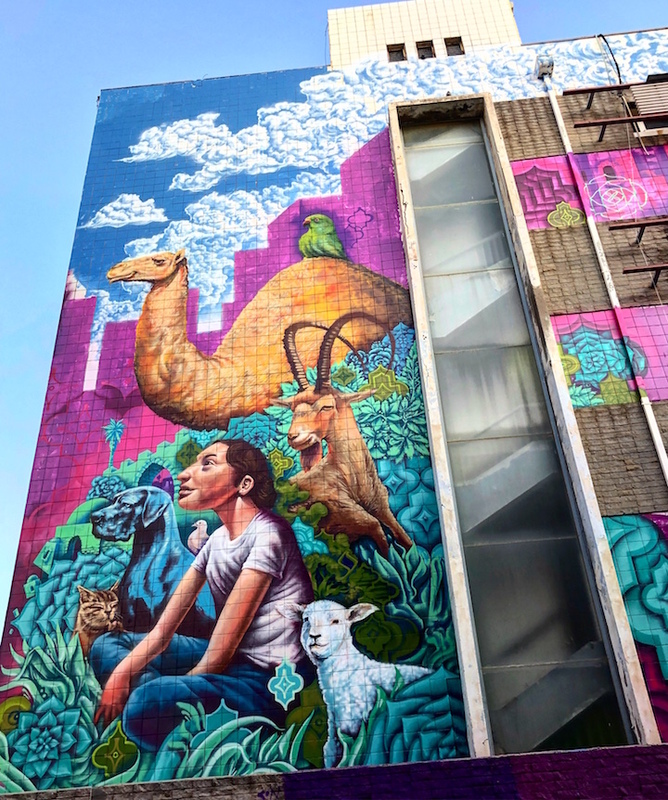 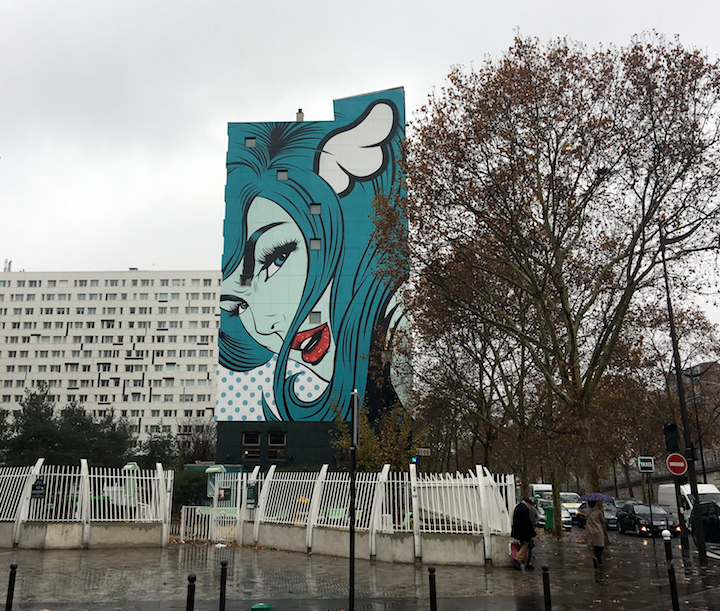 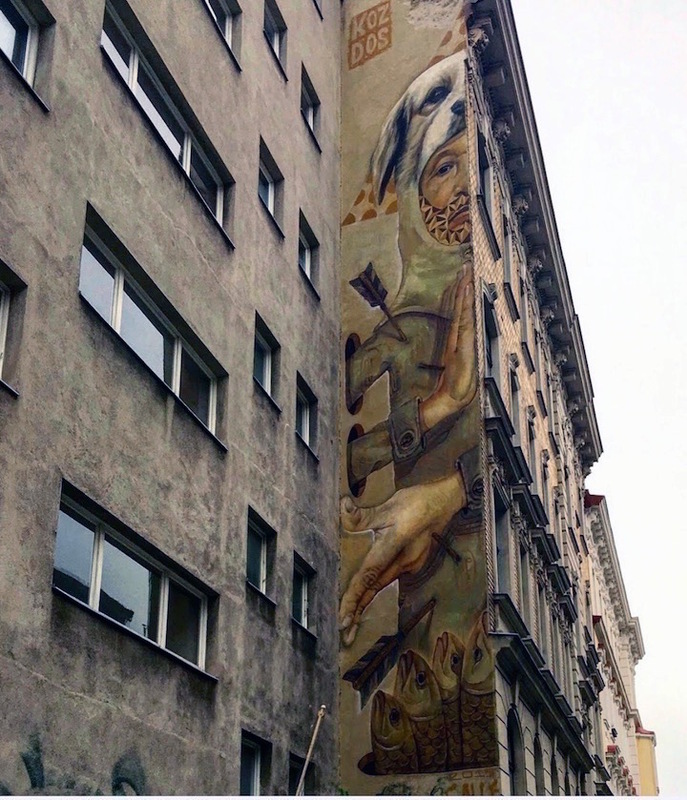 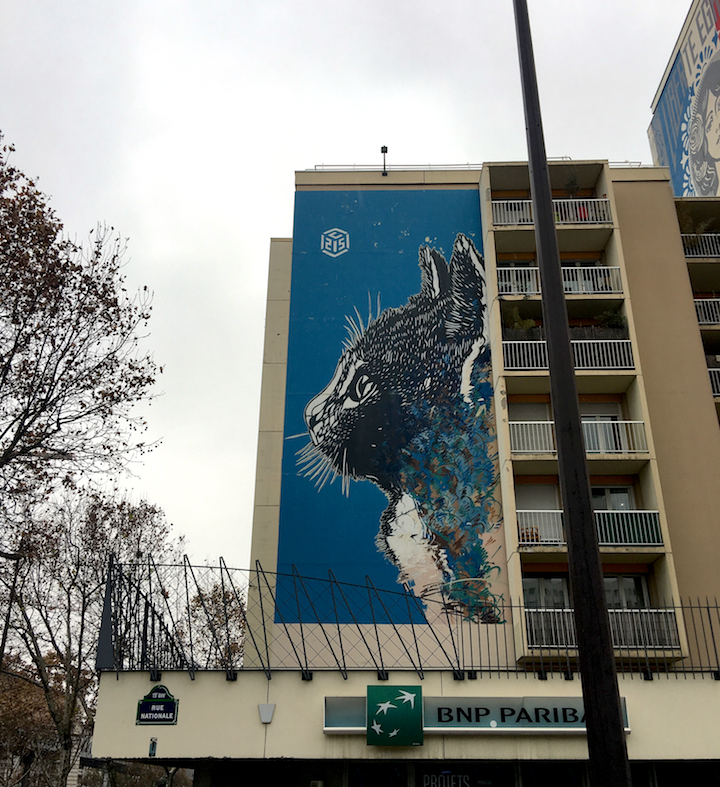 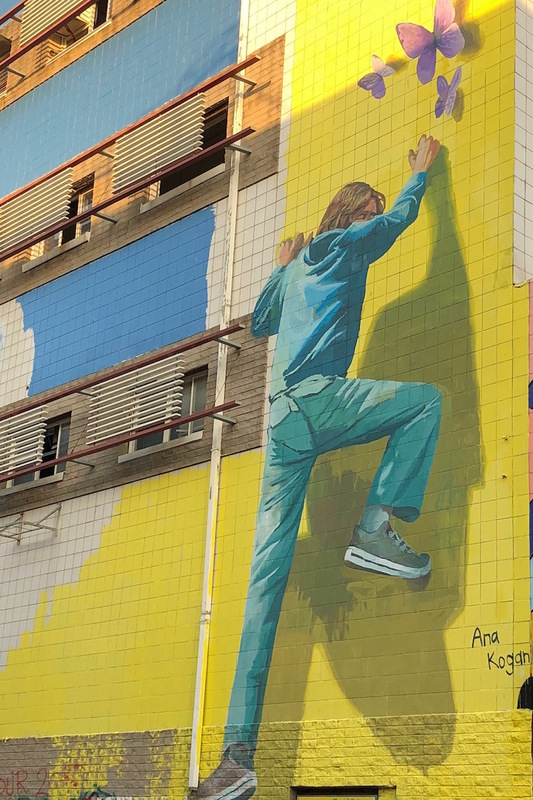 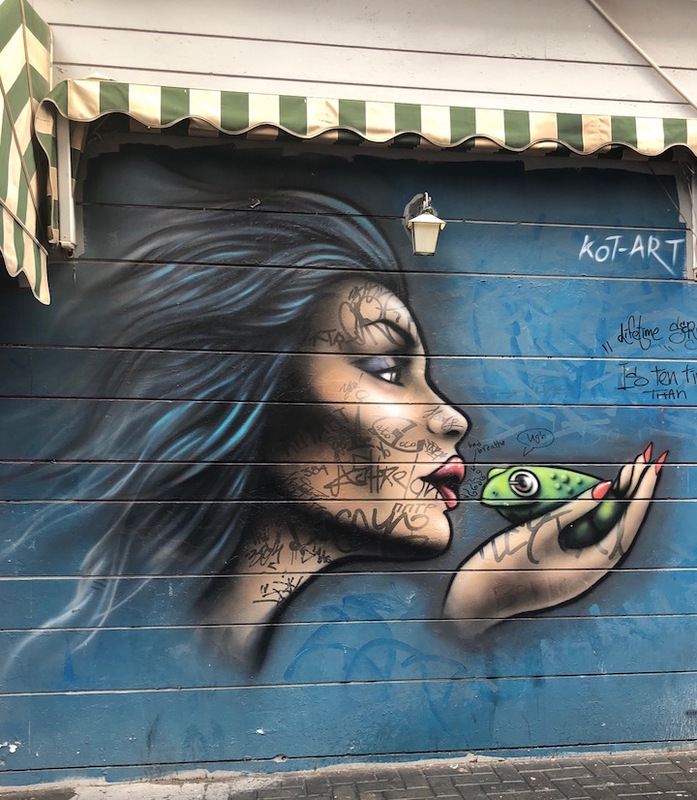 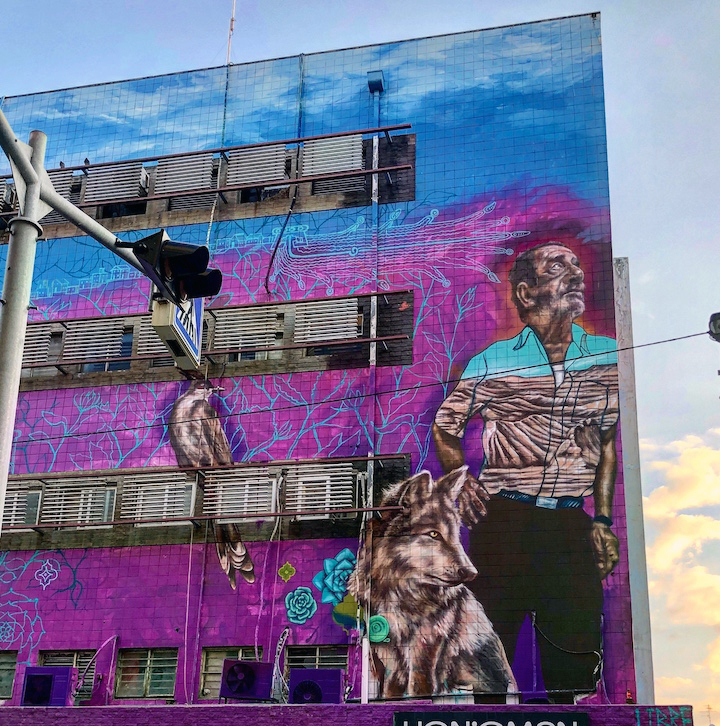 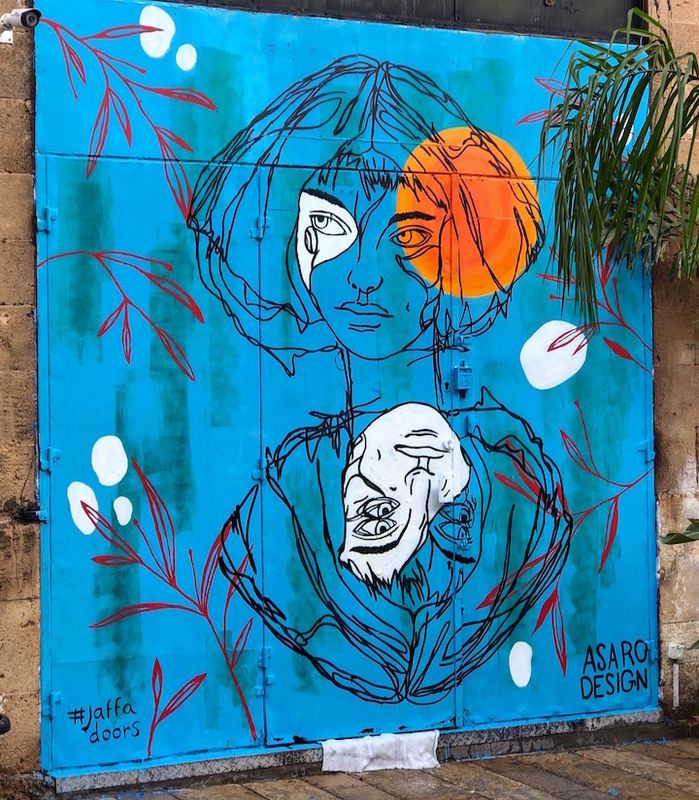 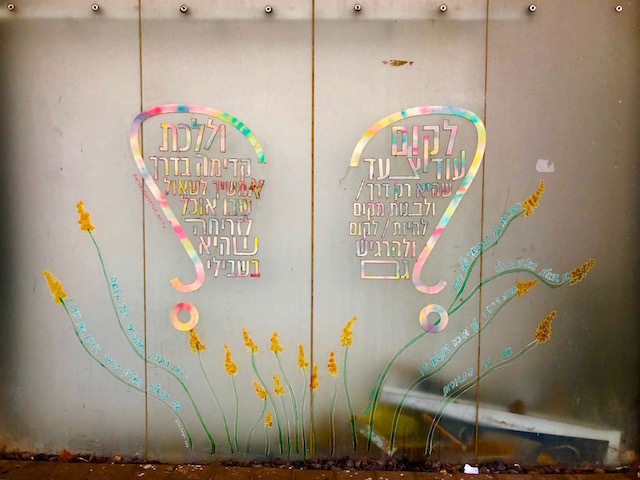 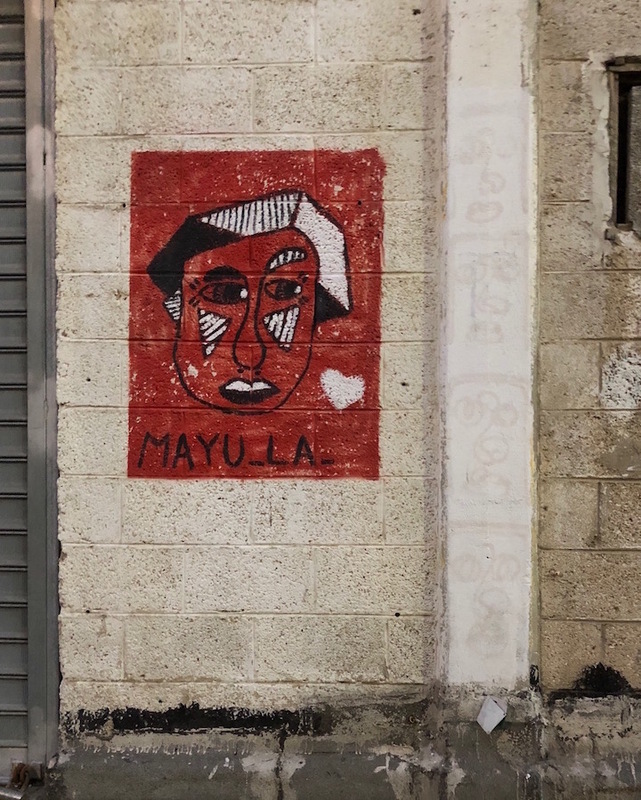 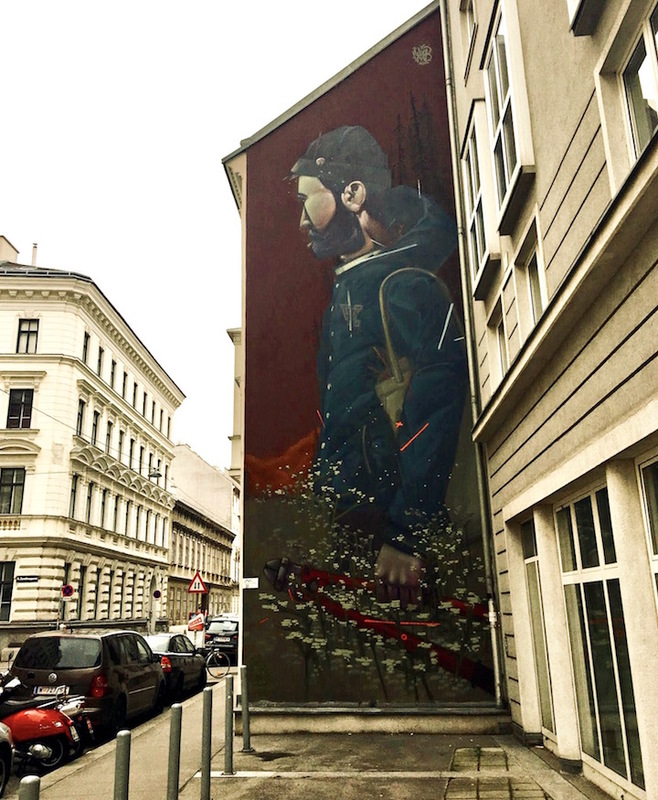 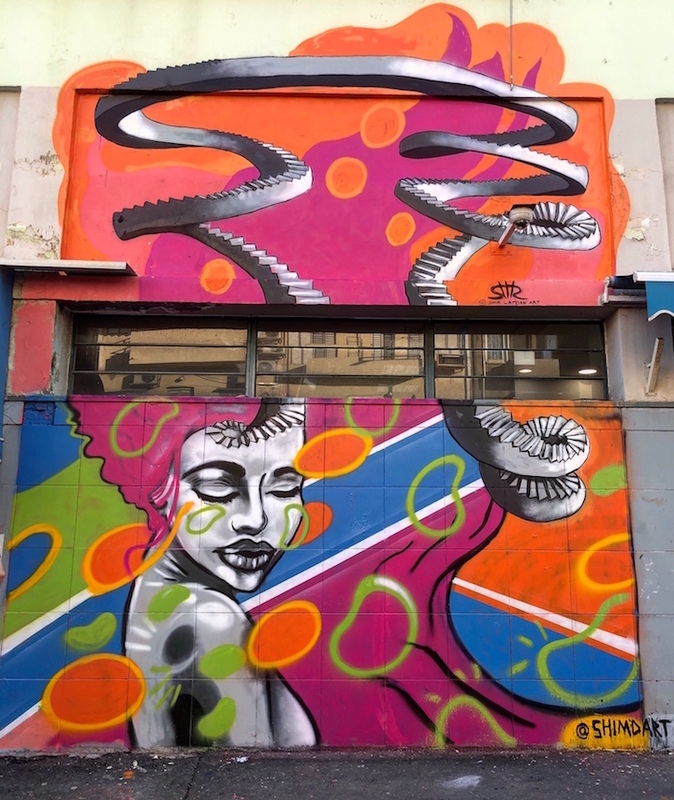 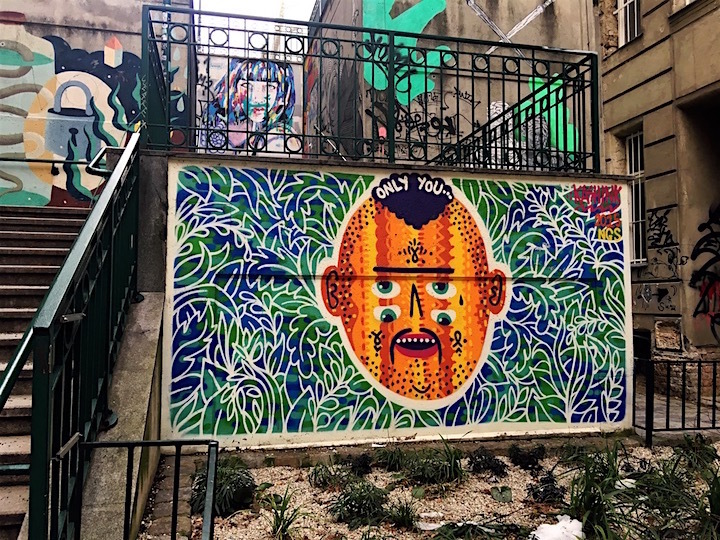 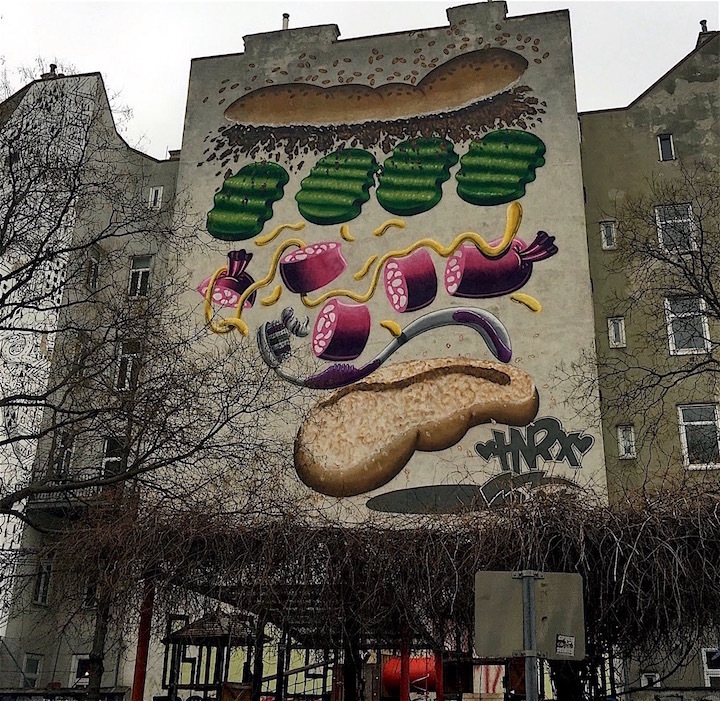 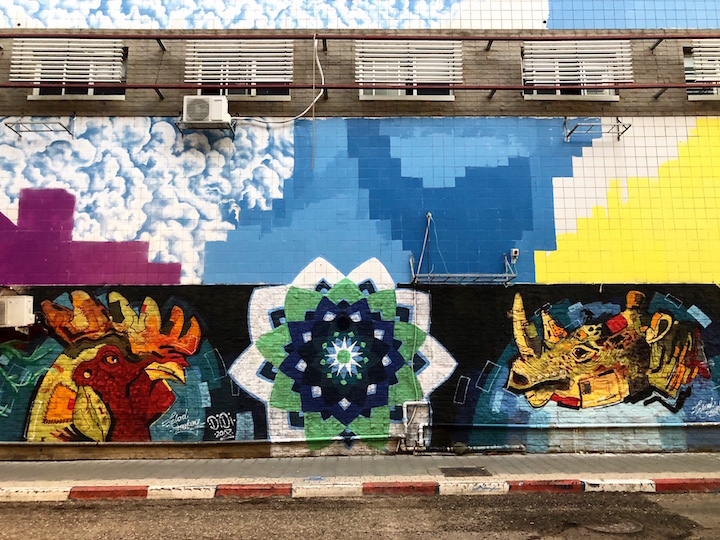 Paris’s 13th municipal arrondissement, a multicultural residential neighborhood — adjacent to Chinatown and home to France’s National Library — has become a street art destination in its own right, with a distinctive mural-driven identity. 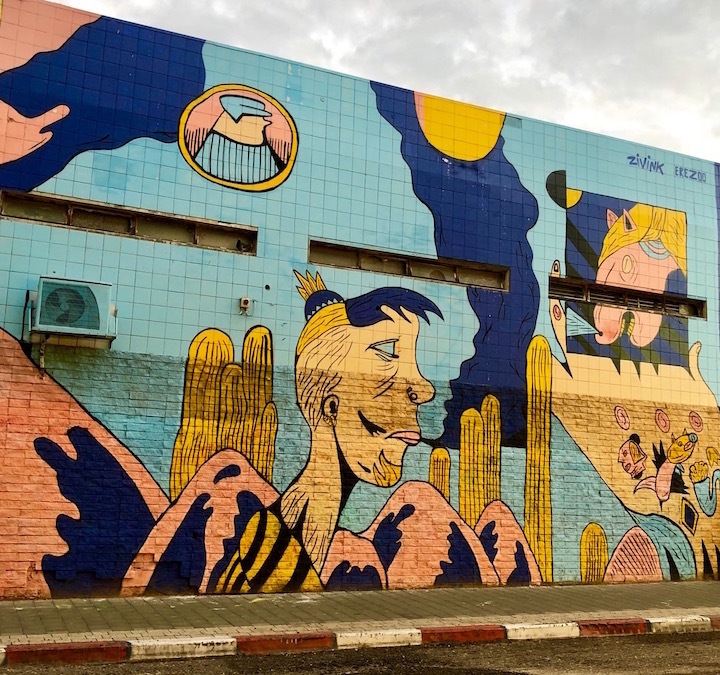 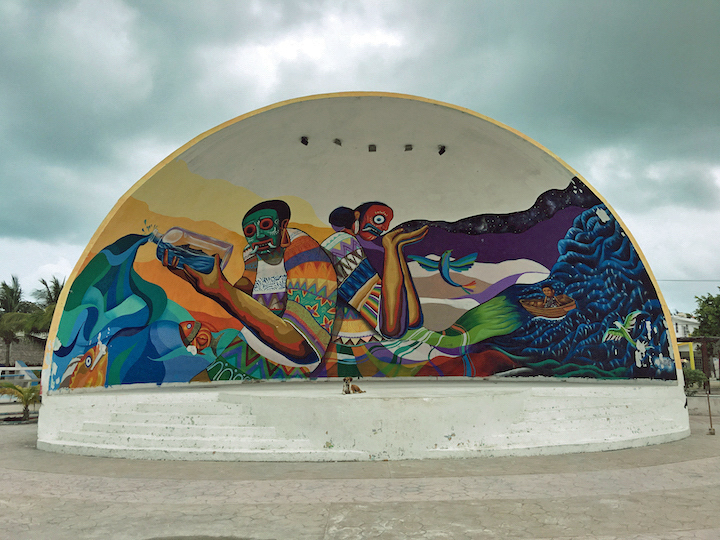 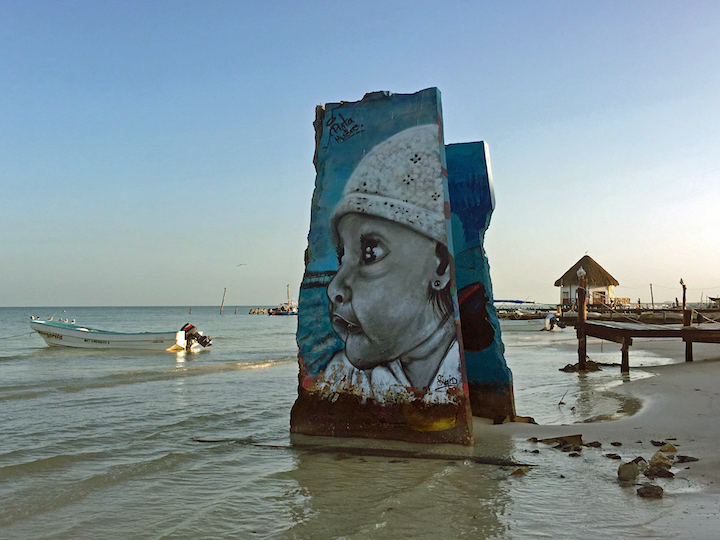 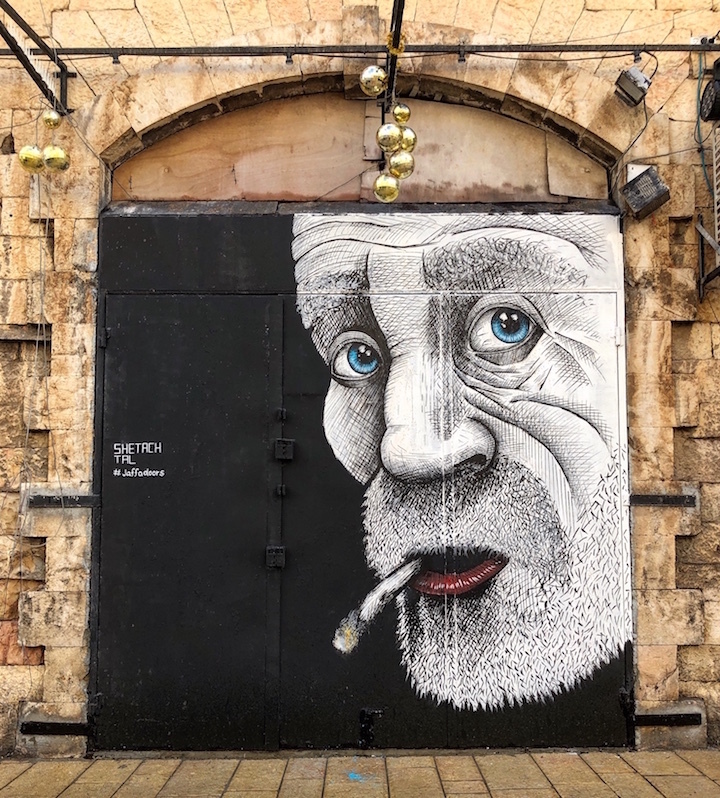 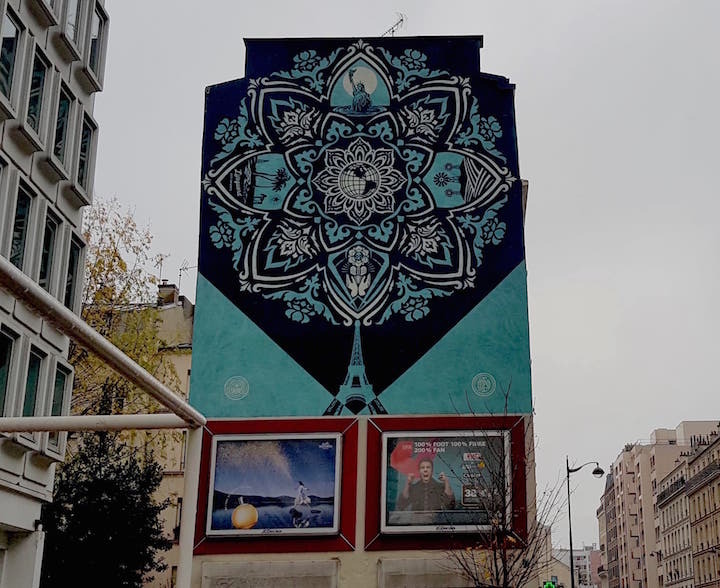 The 50+ walls works erected since 2009 are curated by Street Art 13, an initiative of Galerie Itinerrance‘s founder and director Mehdi Ben Cheikh, in collaboration with the local Mayor’s Office. 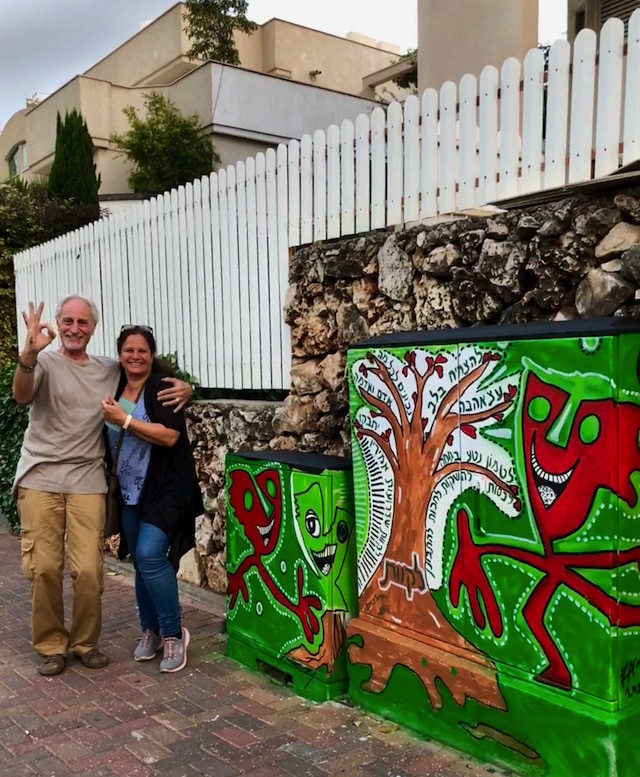 The project has not only been fully embraced by local residents, but also officially celebrated by city’s government. 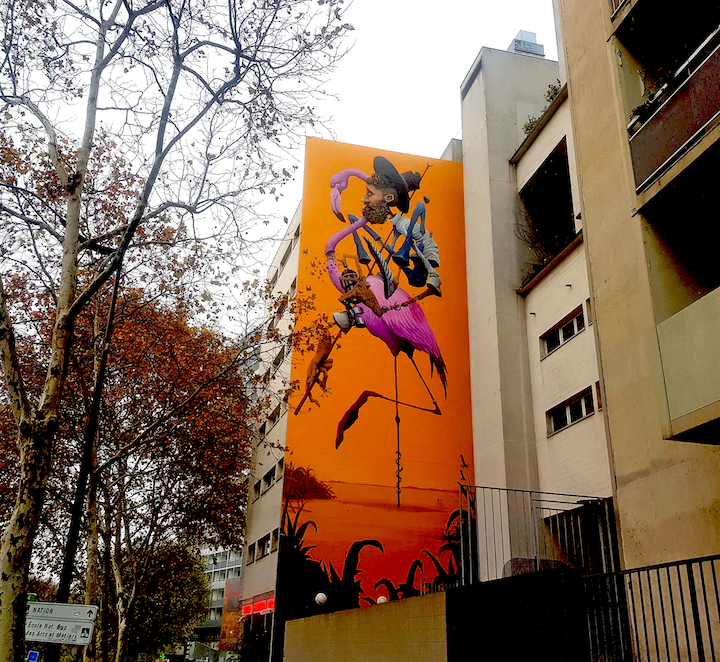 The 13th municipal arrondissement Mayor Jérôme Coumet was awarded the distinguished Marianne d’Or in 2016 for his contribution to the city’s culture. 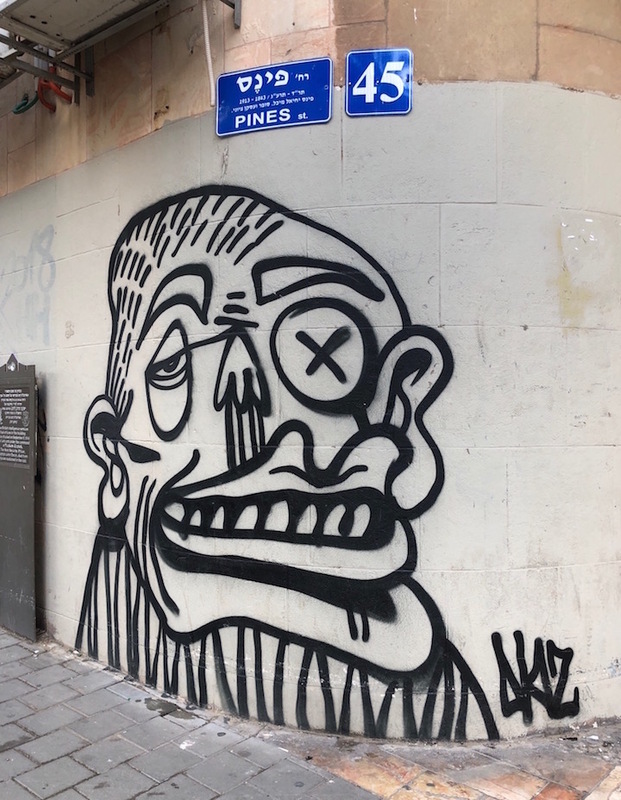 On a particularly frisky Parisian morning, I explored these streets to capture some of these works. 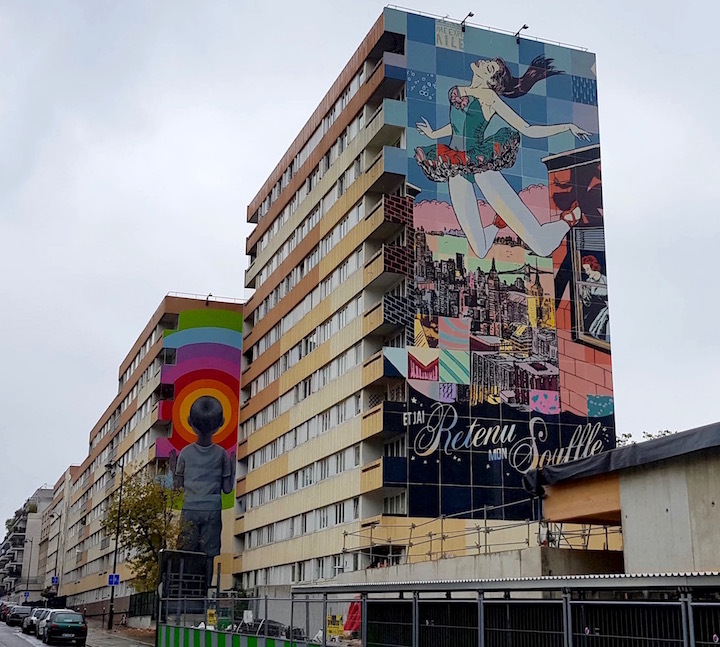 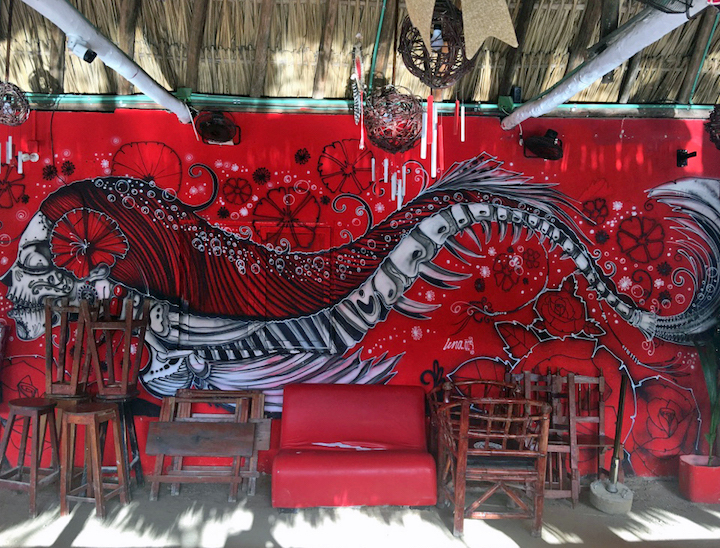 Featured above are murals by the NY-based duo Faile, And I Held My Breath, and French artist Seth. 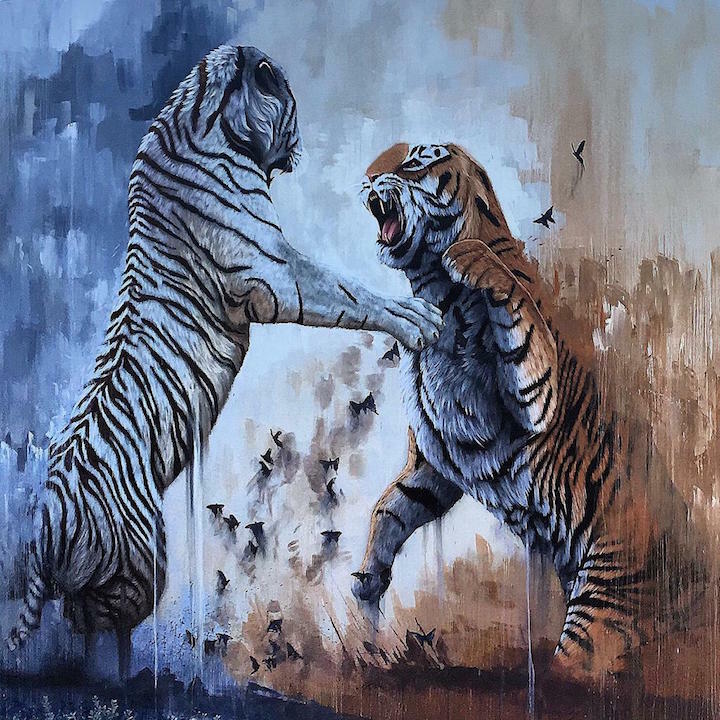 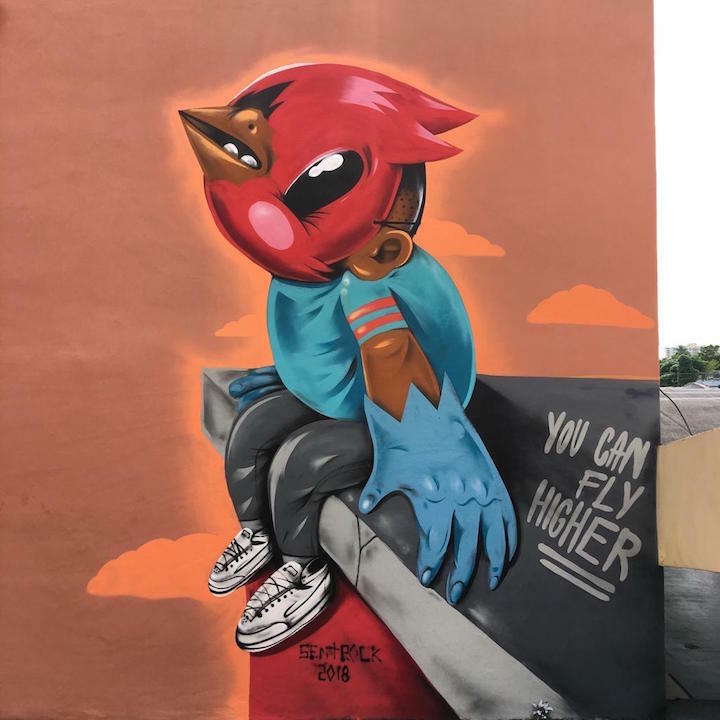 Featured above is the work of the prolific UK-based Snub23. 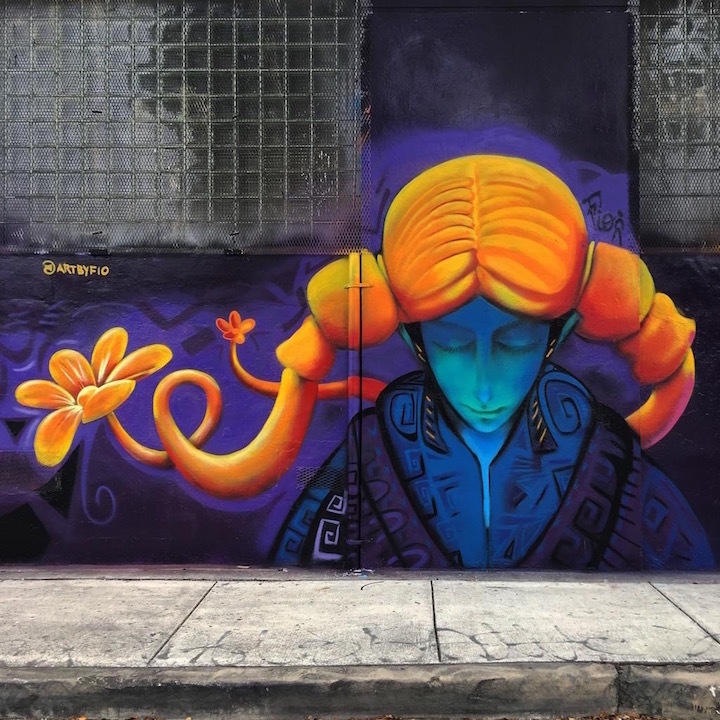 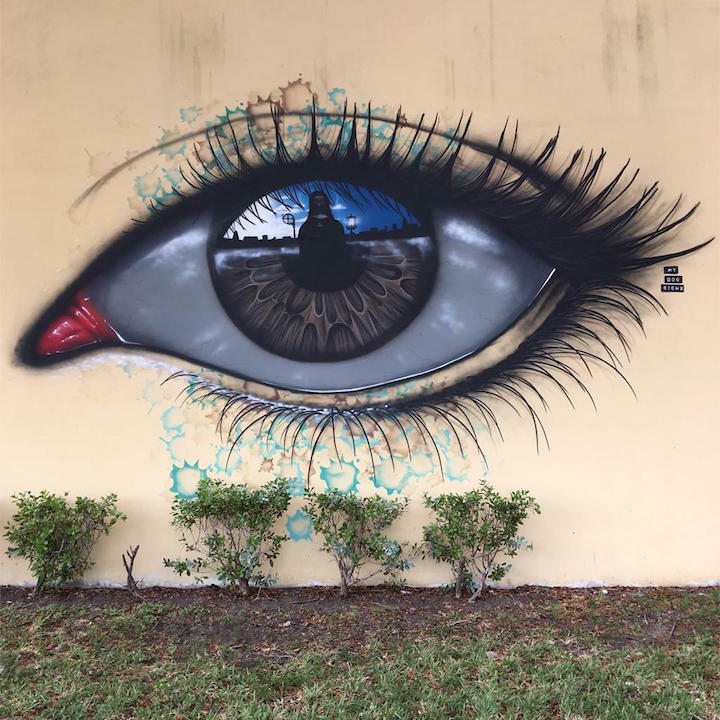 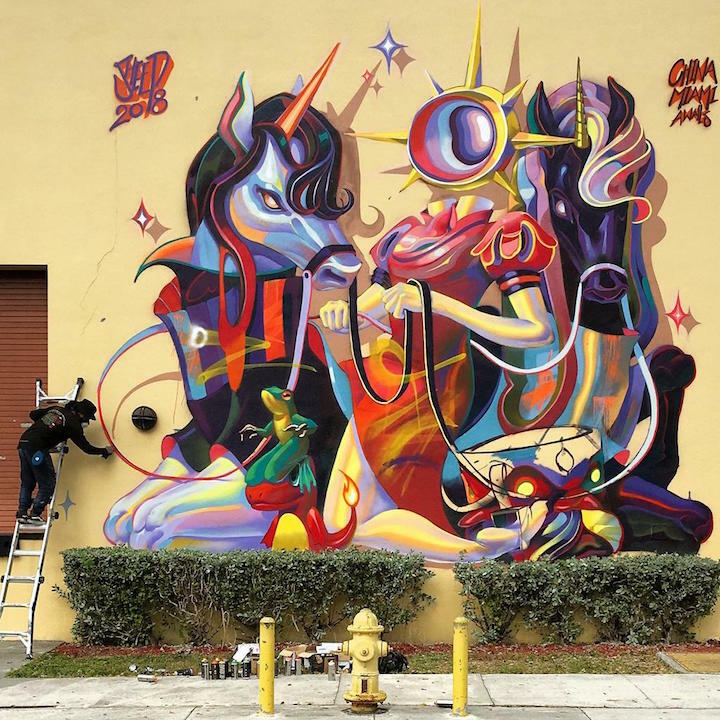 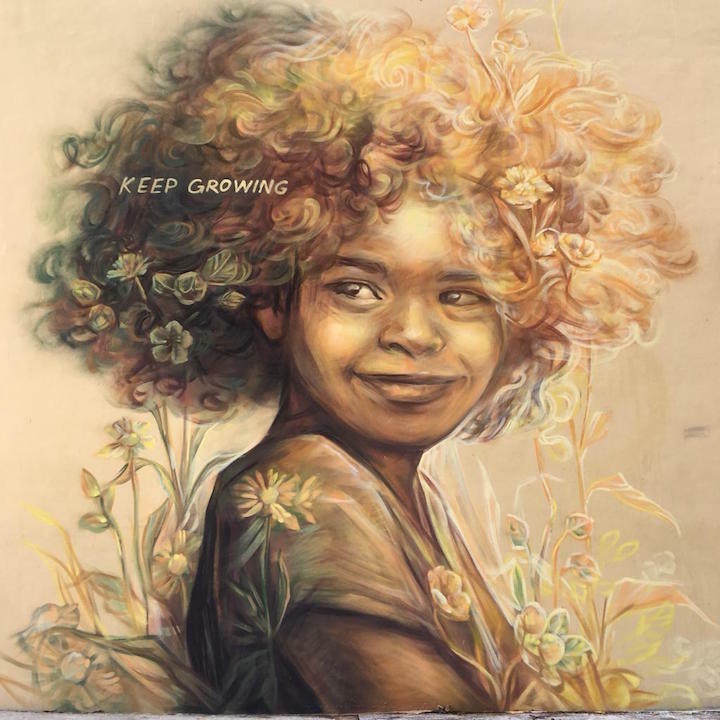 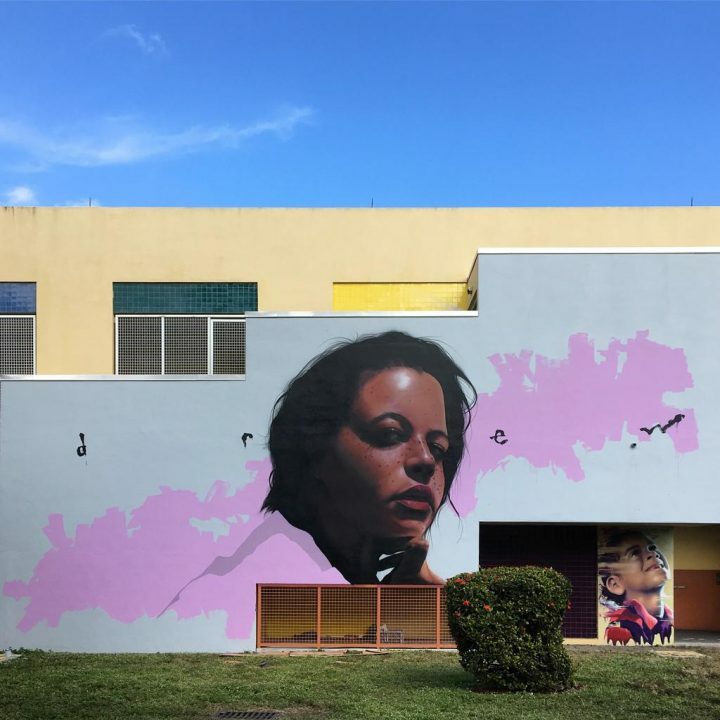 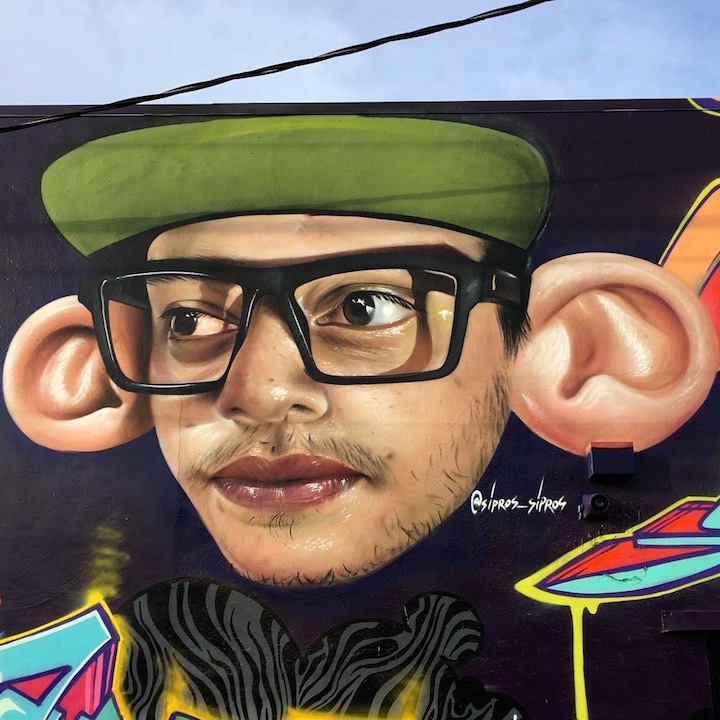 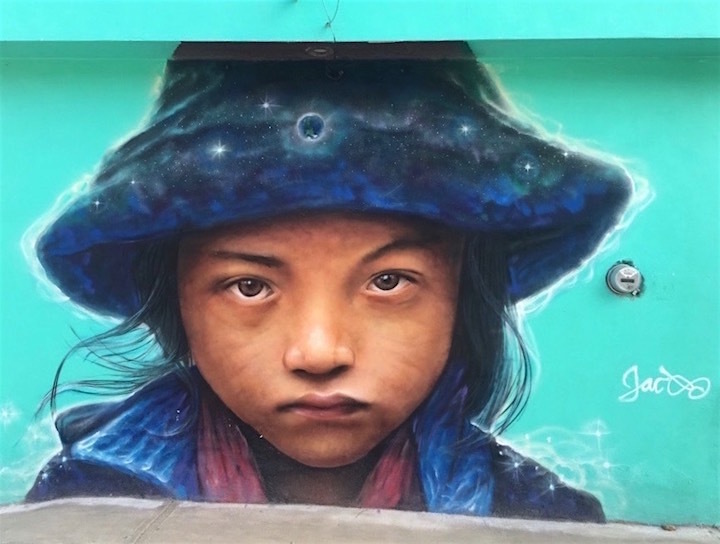 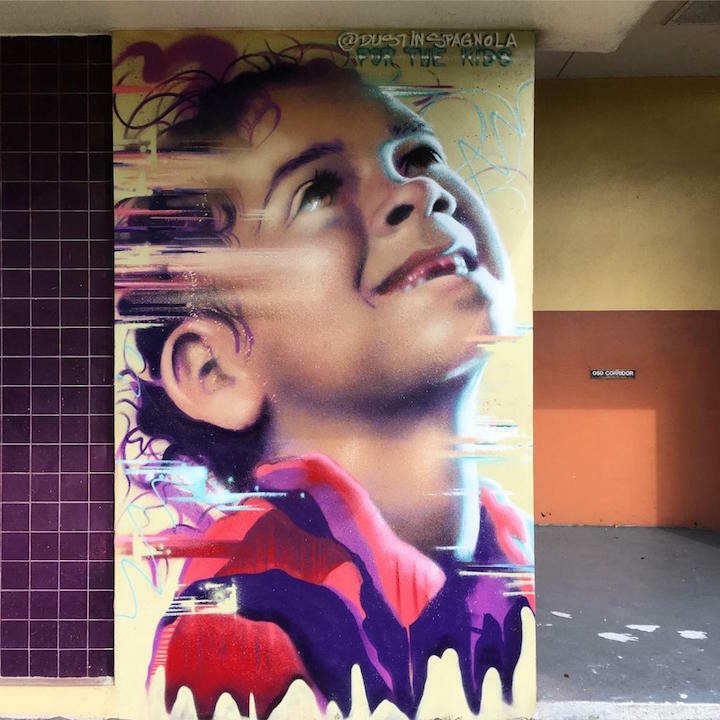 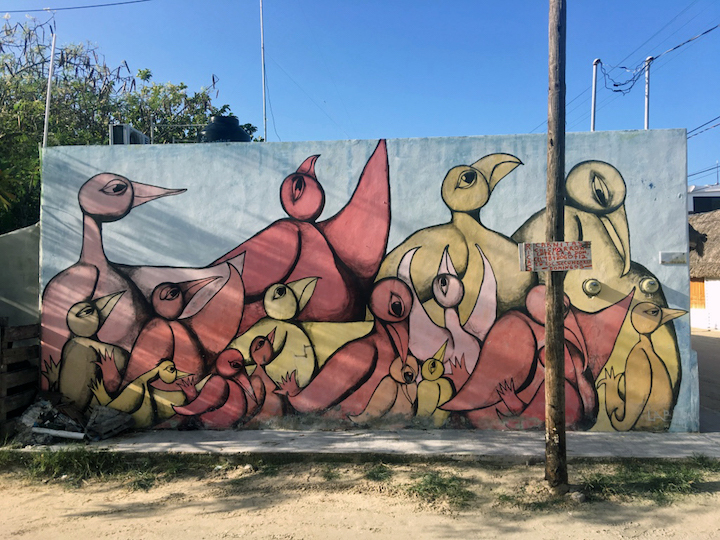 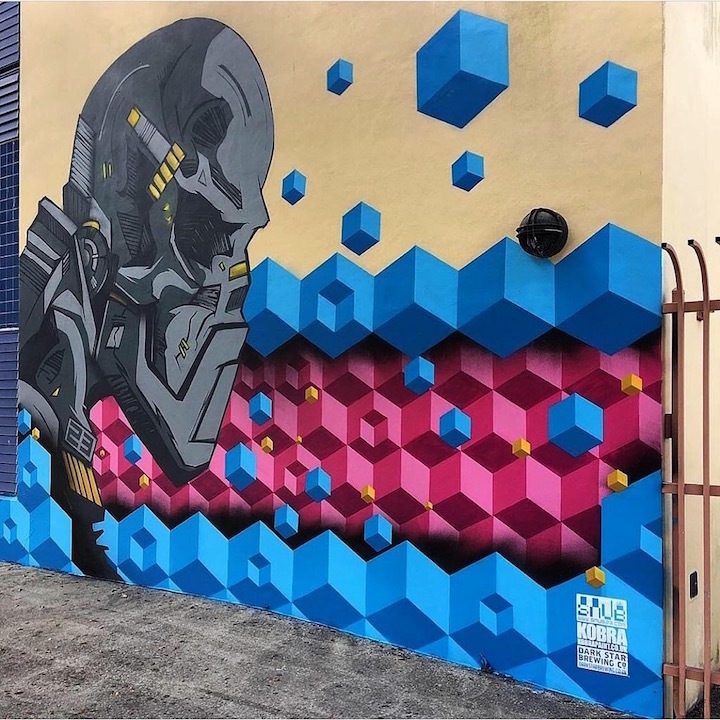 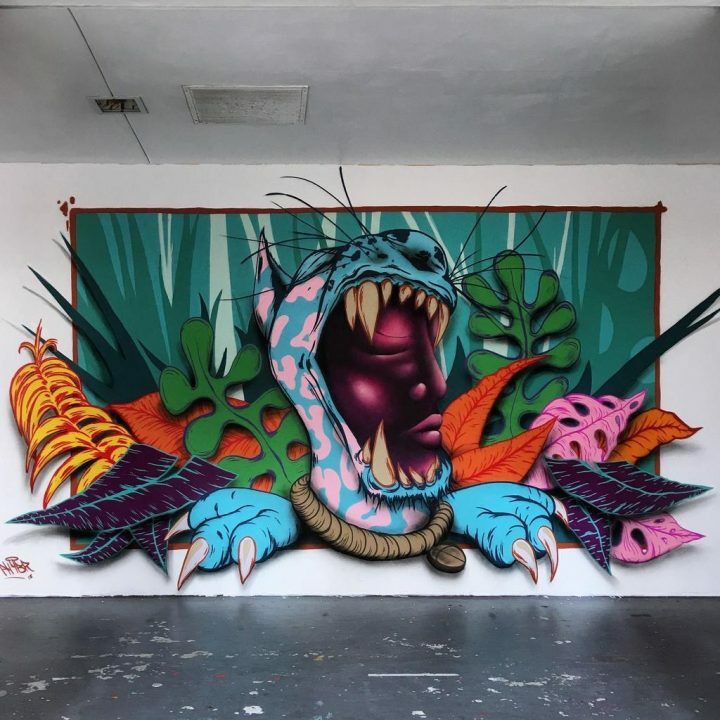 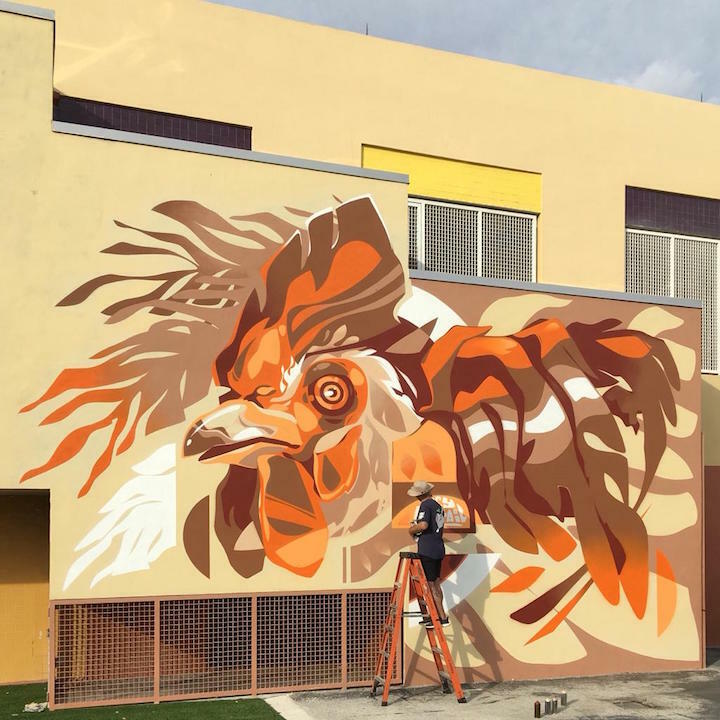 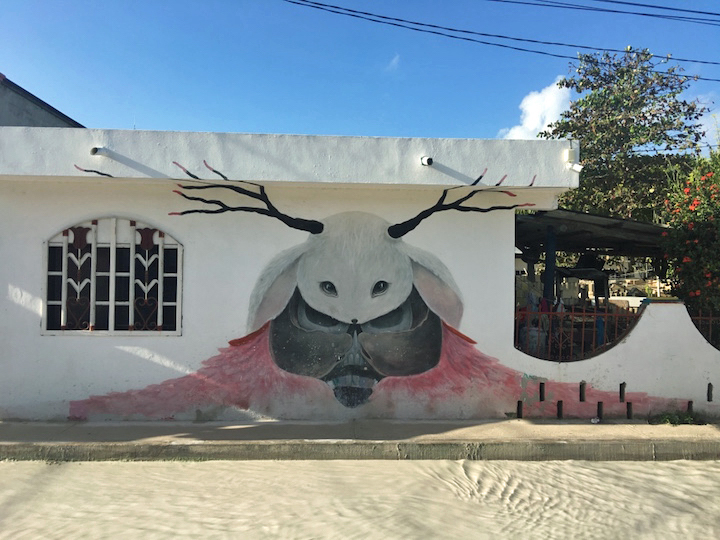 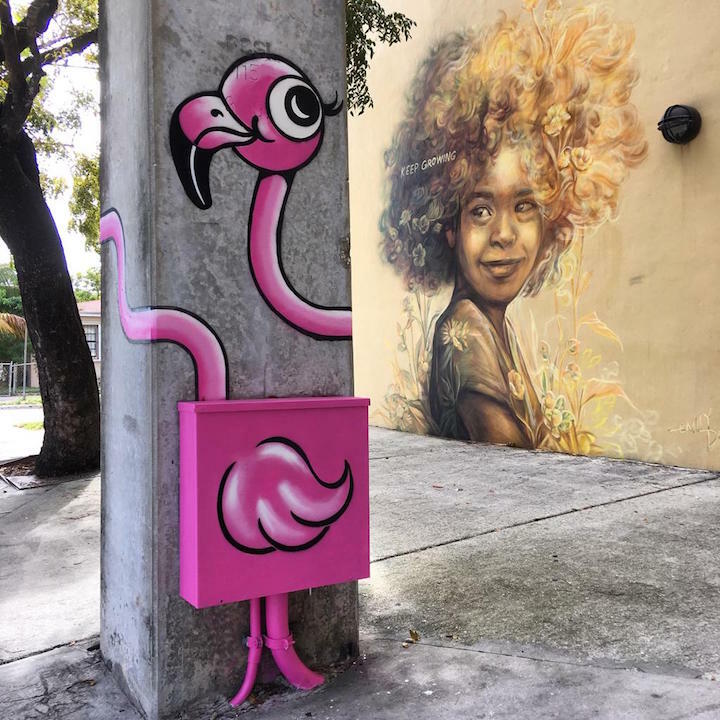 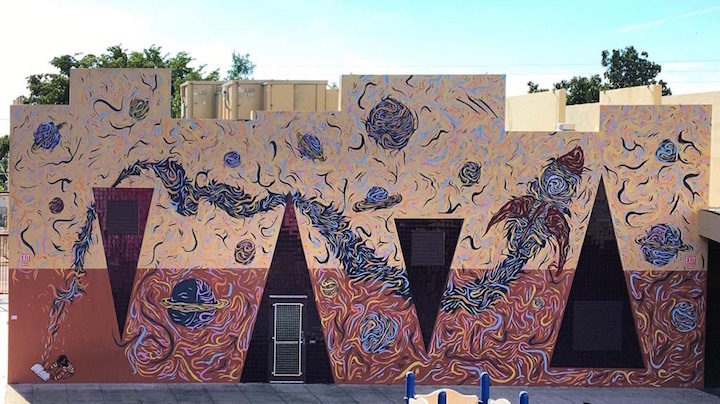 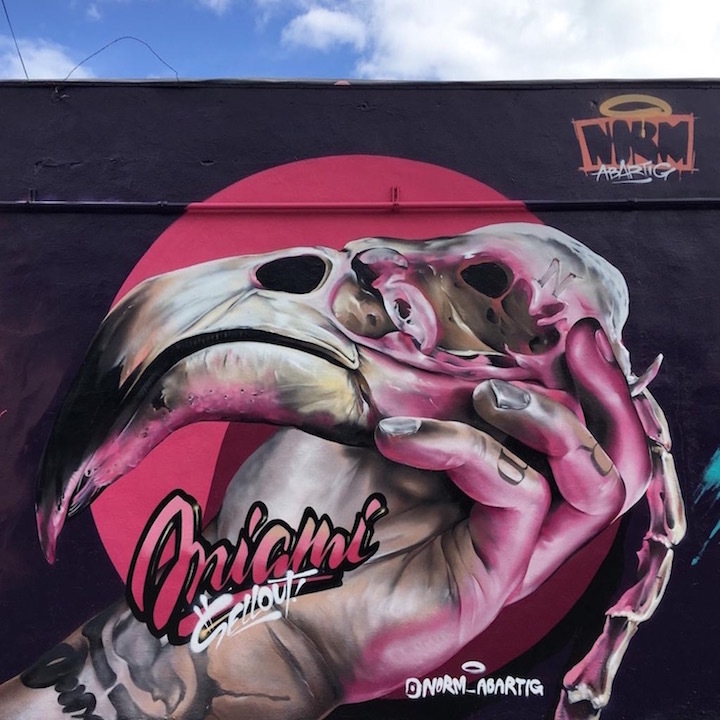 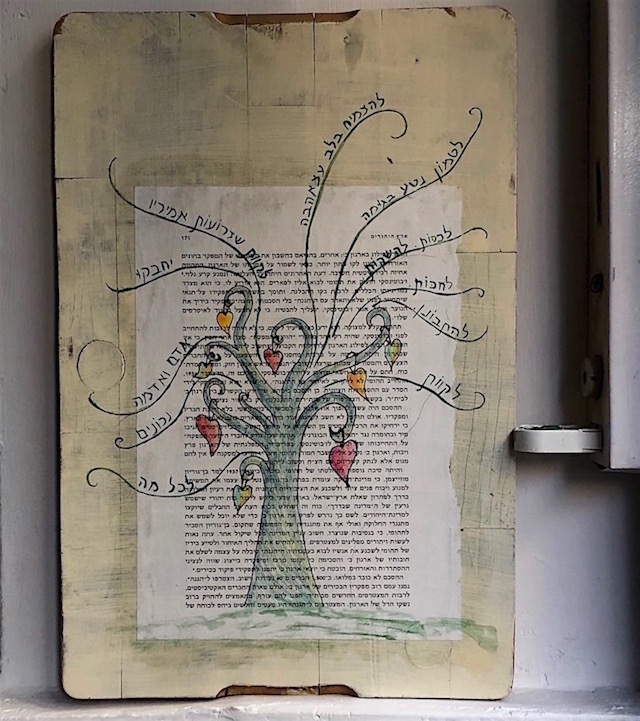 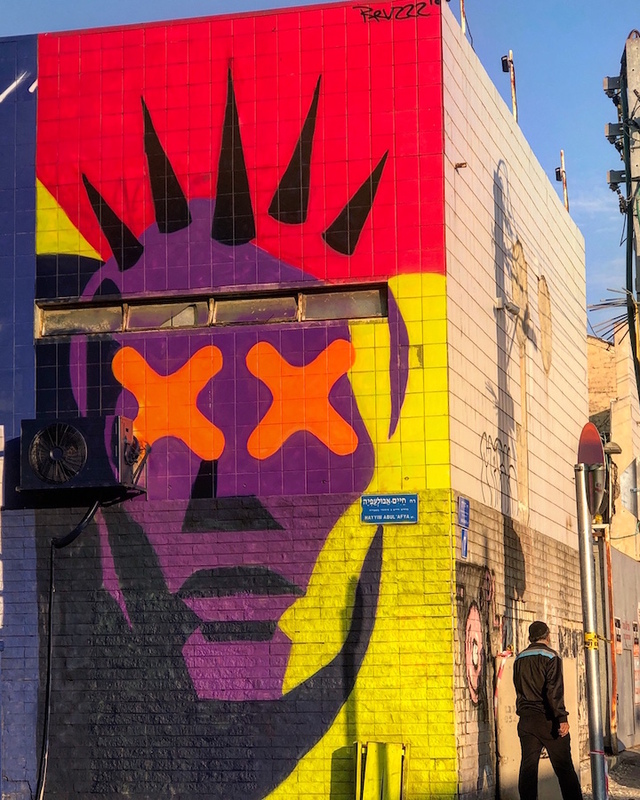 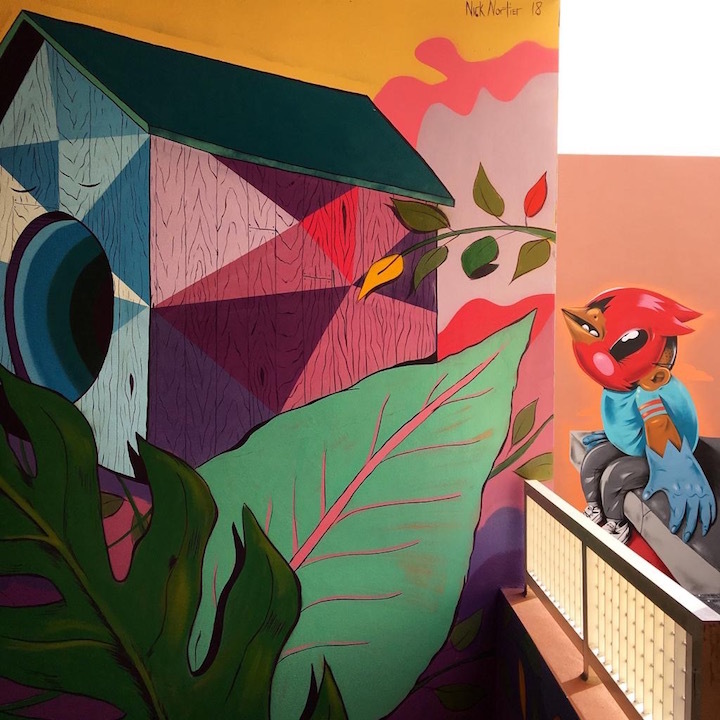 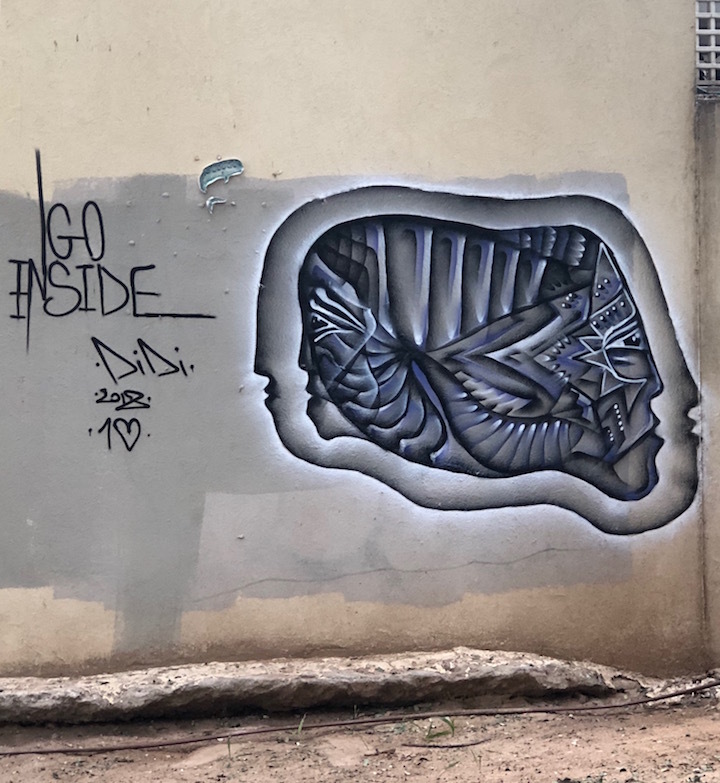 Several more images from the diverse range of artworks that the aWall Mural Projects, founded and curated by Miami-based Registered Artist, recently brought to The Santa Clara Elementary School in Allapattah follow. 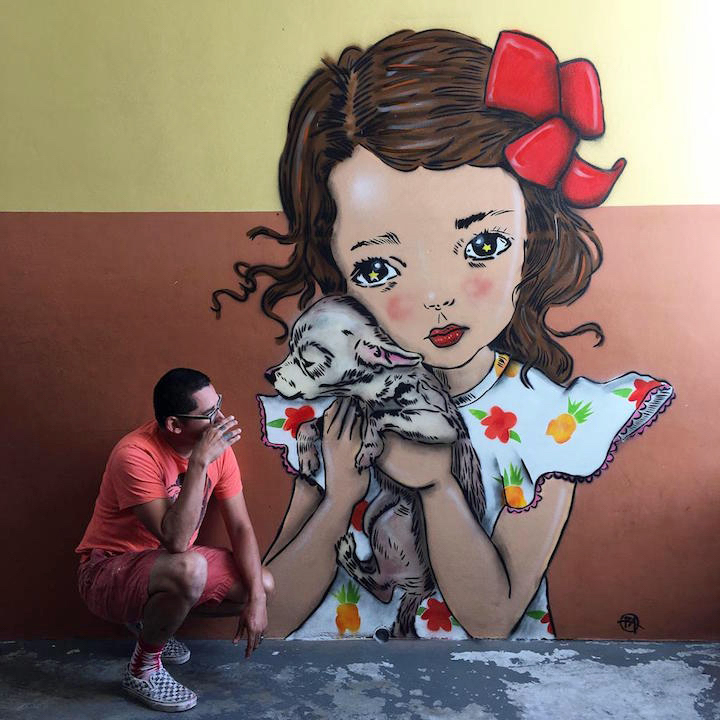 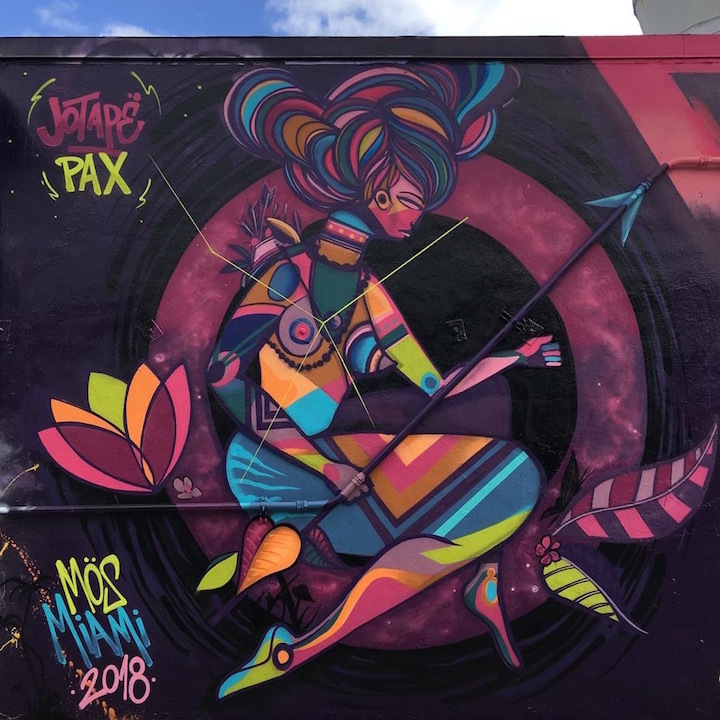 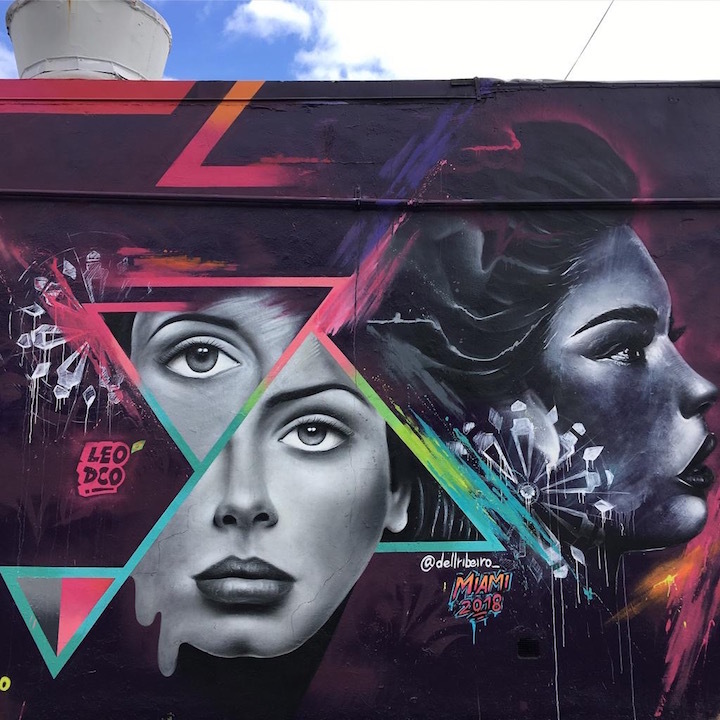 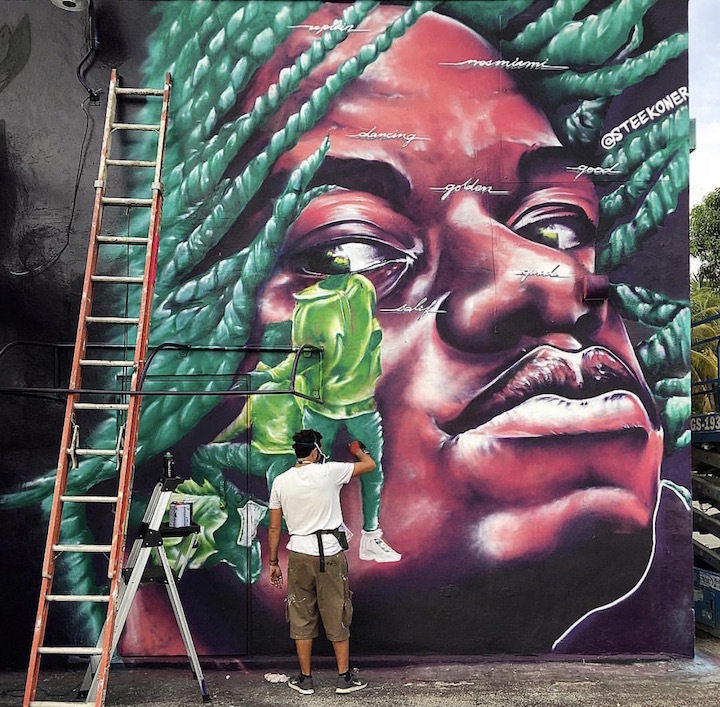 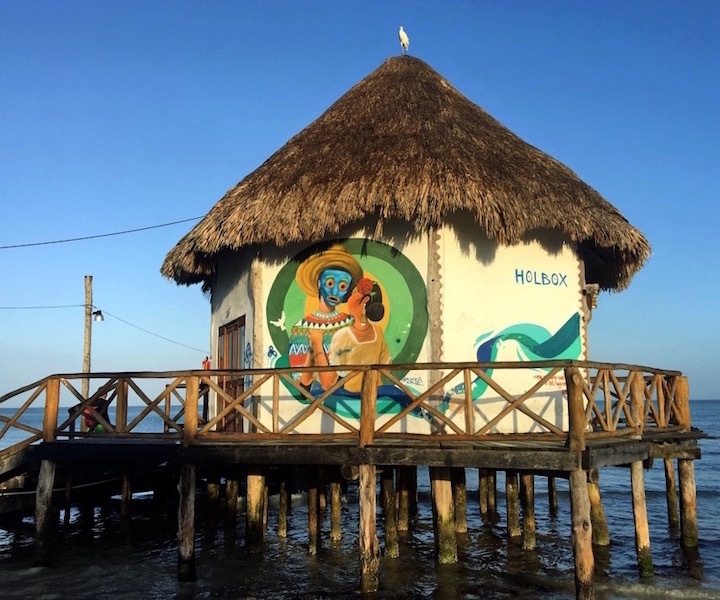 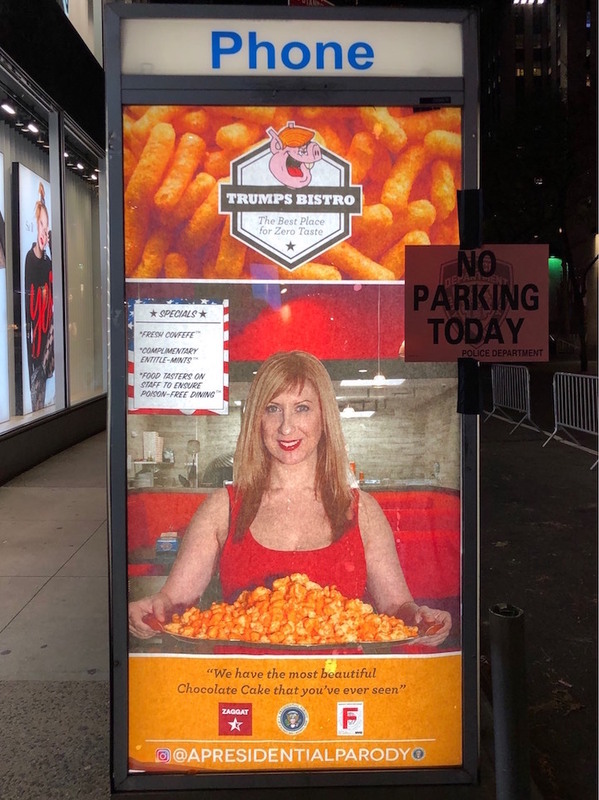 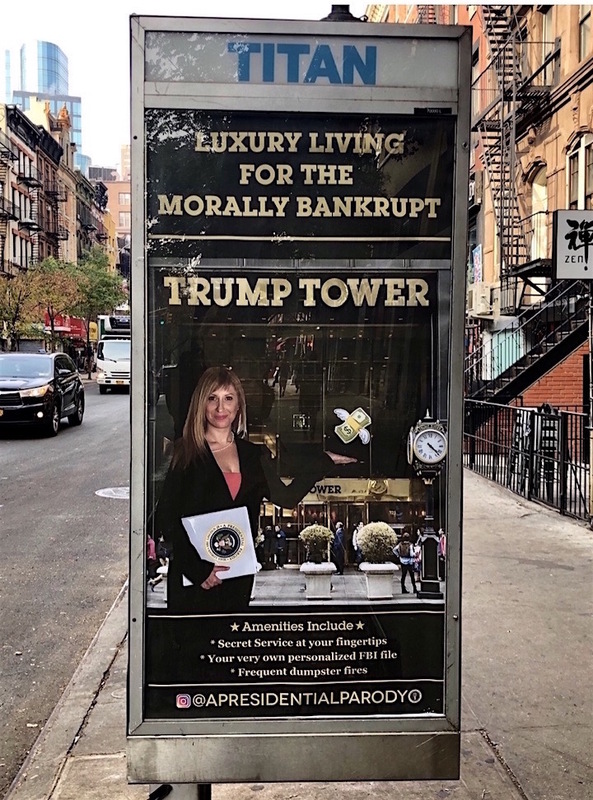 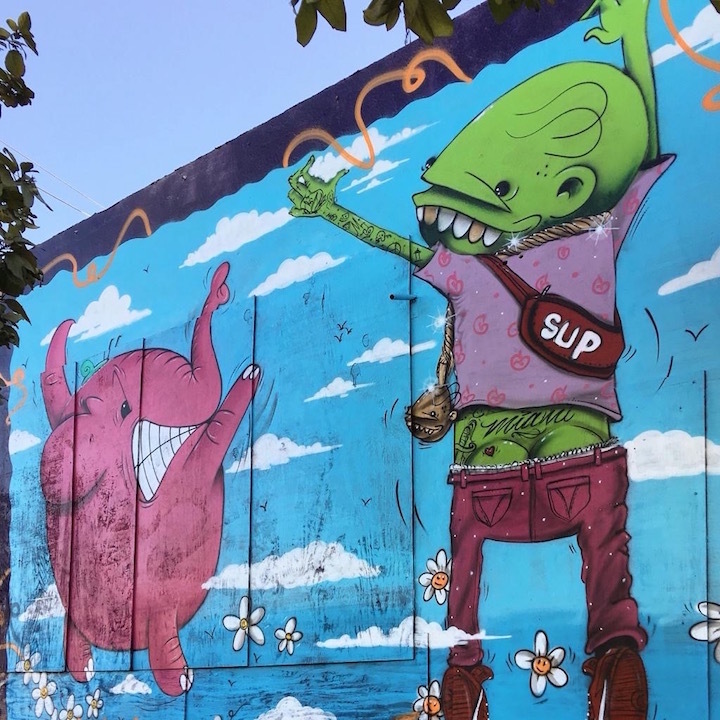 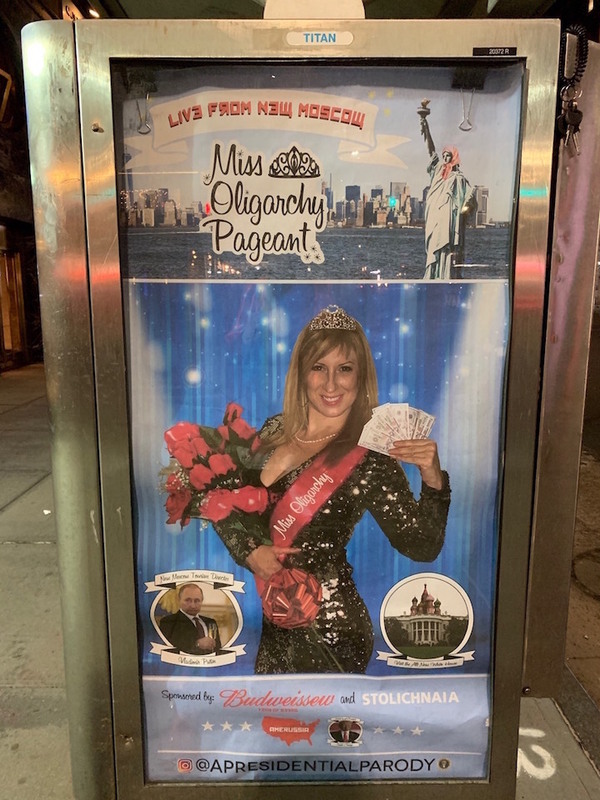 All were captured by travel and street photographer Karin du Maire aka Street Art Nomad during the week of Miami’s Art Basel.